In 2009 Microsoft introduced the Enhanced Mitigation Experience Toolkit or EMET. This freeware tool allowed administrators to enable and fine-tune Windows security features in order to give further protection against malware. Microsoft will officially stop supporting the EMET tool on July 31, 2018 and recommends users upgrade to Windows 10. In lieu of EMET, Microsoft is introducing several new security tools in the Fall Creators Update. One of the new tools is Windows Defender Exploit Guard which gives security administrators more control of how code is executed on machines. Attack Surface Reduction (ASR) smart rules allow for targeted blocking capabilities such as using rules that block Office files from executing macros that automatically download and execute Internet content. Microsoft also leverages EMET capabilities built into Windows to allow vulnerability mitigation on legacy applications without having to recompile them. 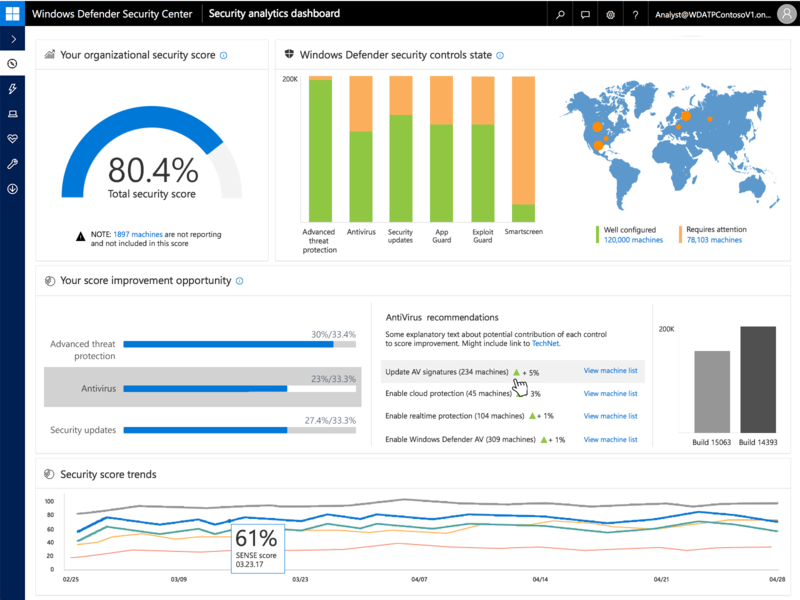 The Fall Creators Update also expands the Windows Defender Advanced Threat Protection (ATP) which is the cloud based heuristic for detecting malware. Microsoft is updating the detection dictionary to include dynamic script-based attacks, network explorations, and keylogging alerts. Even if malware is breaks through, Windows Defender ATP gives visibility to the event for future investigation in Defender's ATP console. Microsoft states that ATP will cover Windows Server 2012 R2 and 2016, while information on ATP availability on other platforms will be shared later this year.